Arggghhh... I just can't fight myself from window shopping and looking for items that I like. My b-day is coming in many months and I always see to it that I will give myself a treat and have some little shopping. The last gift that i have for myself last Nov. was a Canon Rebel 400d and I am eyeing a new lens for my next bday. I also love to have these items and right now they will go into my wish list. 1. ) I love watches and i can't resist not to put it on my list. 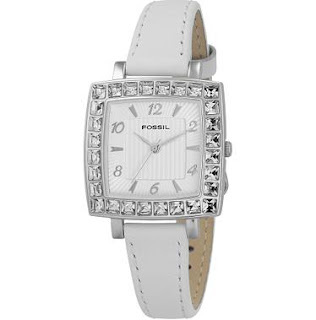 I already have silver and gold metal watches so I want to have this FOSSIL leather one this time. This is nice and it goes well when I am wearing jeans or if I am wearing a casual outfit. It has some stones inside and costs around only $75.00 which is good in my pocket. 2.) 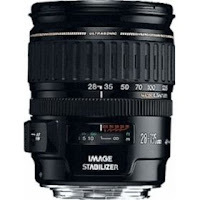 28-135mm Canon Lens, which costs around $417 at Amazon .. ahhhh would love to have this !!!!!!!! 3.
as an alternative. Not all buyers are keen to gold so they choose to buy silvers. Both are appealing and worth to buy anyway and I myself would like to have one. There are many online jewellery stores online and I must say to get most of my attention, the store must introduce unique, stylish and quality pieces for me to buy. Many shoppers surely would love one-of- a kind pieces. I happen to stumble upon Key Silver, an online store based in the UK, and their products got hold of my attention. They are actually selling only quality 92.5% silver jewelleries that make them different from others. They are just concentrating on a particular line of product so they can focus on developing it and creating more unique pieces. I browsed their online collections and picked one from the many Silver Bracelets that they have. This silver beaded bracelet is so eye-catching and indeed this is one of their best sellers. 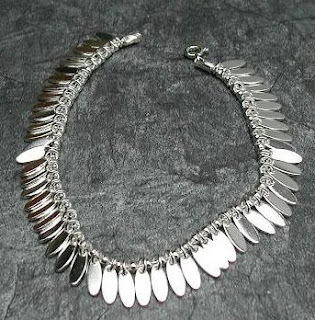 They also sell Silver Pendants and Silver Bangle (they have nice styles there). 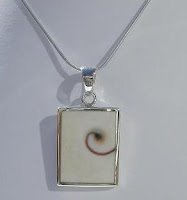 Just love this pendant in which they put shell as an added accent. What makes them unique is that not all pieces will be too identical and it comes in comes in an organza jewel bag when shipped. They also offer free shipping both local (UK) and international. Wedges are back and they are colorful and playful! I can't remember when these wedges are in fashion but I clearly remember wearing something like this (not coach though). And like they say fashion just keeps coming back just in another form or style. These Coach Wedges are perfect for summer and would look good on you when you are wearing your fave shorts and tee or summer dress. It's just comfy and stylish and would always make heads turn every time you're wearing them. Coach Kerrie Flatforms (top photo) are available at Amazon for $64.99 while Coach Wedge Watercolor is about $159.99. There are many nice styles and colorful wedges at Amazon to choose from. Who on earth doesn't know Amazon.com? I bet they are missing some things in their life if they don't know it hehe. Anyway, they don't just sell books which they are popular about but any items that you would think about. If you want to shop and are looking for toys, electronic gadgets, jewelries, name it you can find it there. 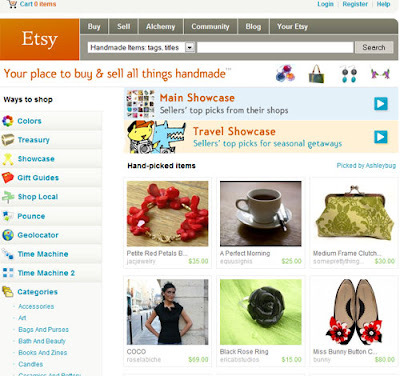 You can find a lot of deals and bargains by browsing all their shopping departments. You can also find their best sellers on the site. I can say this is a one-stop shop for us shoppers, we can shop online w/o any hassle and good will be delivered right in front of our doorsteps. Just love watching E news on TV and browsing the E News online too. That is where i got some latest scoops from fashion and celebs as well. Their Fashion Police is always awaited by fans to see what their fave celebs are wearing. Some have been quite praised for a perfect dress but some got some nasty remarks from fans and fashionistas. Be the judge and see the stars wearing their clothes E Fashion Police. Sigourney Weaver wearing a Prada silk pants, is she a SHAM or a GLAM? I guess bright bold colors are in again this year since I see them often in malls and tiangges. Not only colored skinny pants have been making waves these days but as well as purses and bags. This sleek and stylish CHLOE Ines Box Clutch have been catching the eyes of modern and adventurous woman who loves getting noticed while carrying this cute lil bag. Here are just some of the shoes from Marc Jacobs for the Spring Summer 2008. I just love this type of shoes bec. it makes me taller and it's comfortable to wear with jeans, shorts or summer dress. 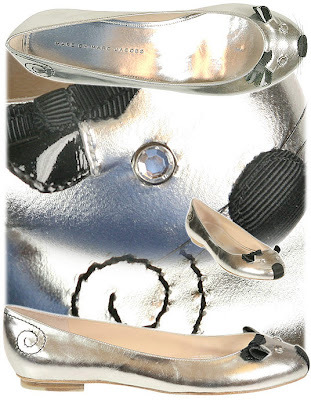 Ballet flats are still in and of course this is perfect for skinny jeans, shorts or any outfit you might want to wear. Playful Skimmers from Marc Jacobs. Just got hold of this cool laptop bags online and they sure looks so stylish and usable as well. It can even match the outfit that you have. If you are more free spirited and adventures there are designs that will suit your taste. Those that still love the classic laptop bags, they are still perfect to bring anywhere you go. 1. 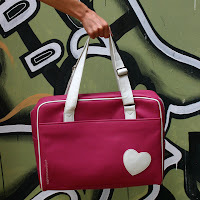 From PlasticPeople.com , perfect for sweet lil gals and is available in 2 sizes 15" laptops ($165) & 17" laptops ($175) with Matching clutch & mirror included! isn't this cute and fashionable? ! 2. 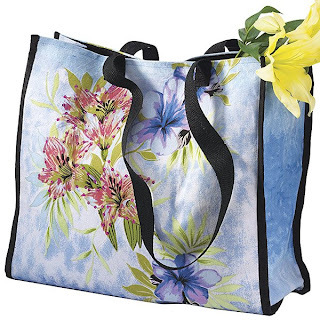 Patrcia Gardenia bag from maverydesigns.com, available in many colors and designs as well. They have sale ongoing right now. 3. Metro Orange bag from melissabethdesigns.com. If you love bold and attractive colors then this will suit you. Available in many colors at their site. If you think that being a runway model is always glamorous bec. they can wear designer clothes and all, but think again bec. they have one of the hardest jobs in the world. It's even harder when the designer wants you to wear high heeled shoes and walk in a slippery runaway, all you need is to pray that you won't fall. Just take a look at this video just in case you have not seen it.